The Foundation for St. Cyril School celebrates its tenth year anniversary this 2018-2019 school year. Since its founding in 2007, the Foundation has raised over $1 million dollars, and has contributed over $262,000 to the School, to support the transformational educational experience for every St. Cyril student. The Foundation fulfills its mission by supporting the school’s commitment to academic leadership, through funding for curriculum enrichment and enhancement programs, funding faculty development programs and contributing to tuition assistance for families in need. Through this school year, the Foundation will have provided almost $100,000 in tuition assistance to allow St. Cyril School to help all students have access to the same educational experiences at St. Cyril School. The Foundation has various programs to enhance the quality of education at St. Cyril. For example, its contributions allowed the Science Lab to be built. Recently, it funded the purchase of 16 Lego WeDo Kits for the lower grades and 12 K-Nex Real Bridge Building Kits for the junior high students. The Lego WeDo Kits help expand the development of STEM and focus on completing engineering and robotic tasks using specialized Lego kits. The K-Nex Real Bridge Building Kits supports the math and engineering opportunities and project- based learning. 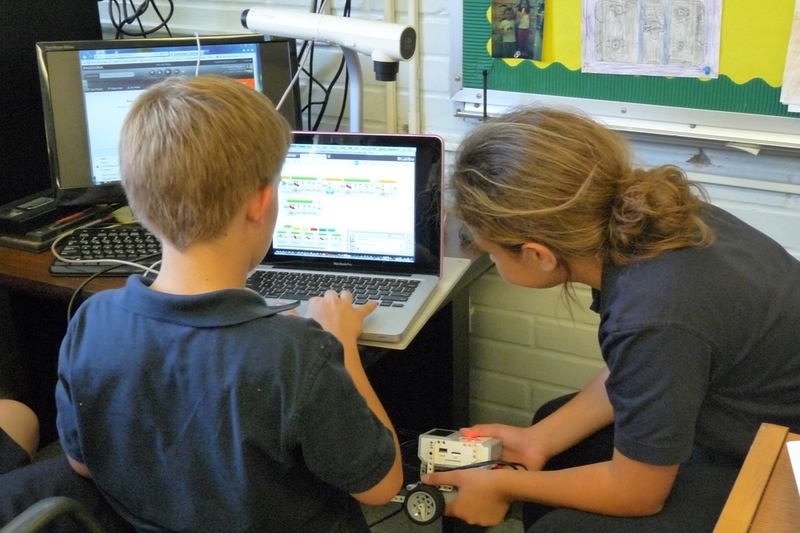 These contributions enhance the curriculum for the school’s Robotics Program. To support professional development of the talented teachers and staff of St. Cyril, the Foundation has helped fund the teacher participation in the CUE Conference (Computer Use in Education). The experience the teachers gain from these conferences inspires them to apply new teaching techniques and programs that serve one purpose: to have an engaged faculty that provides an enlightened approach to the newest teaching innovations that improve the learning experience and education of every St. Cyril student, all while supporting the School’s most valuable asset: its teachers. The Foundation for Saint Cyril of Jerusalem School is an independent, private non-profit 501(c)(3) corporation established in 2007 for the singular purpose of supporting and help- ing enhance the educational excellence at Saint Cyril of Jerusalem School. The Foundation has raised over $1,000,000 in its 10-year history. At its core, the Foundation is an organization created with gifts from generous people such as parents, parishioners and its community committed to ensure that the tradition of educational excellence at St. Cyril School continues. For more information or to donate, visit www.thefoundationforstcyrilschool.org.